The setting is a Russian hotel room. Blackout curtains further subdue the light from the grey Moscow sky. For the handful of people in the room, the next four hours mark the culmination of months of planning. Cellphones are made safe from monitoring. There’s a knock at the door. 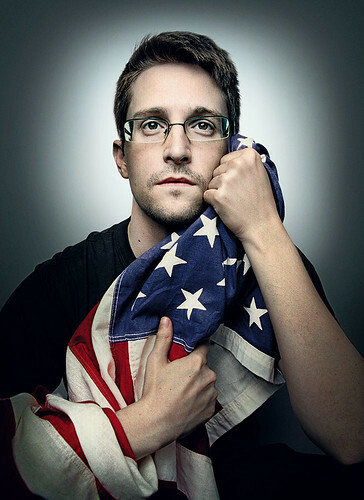 It opens, and in walks Edward Snowden, ‘the most wanted man in the world’. 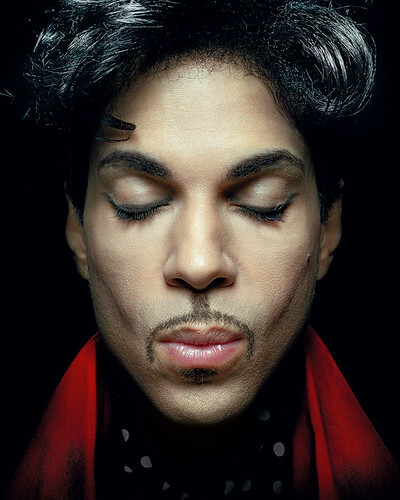 There to greet him are a team from Wired magazine, and Platon, portrait photographer and now, with the creation of his new nonprofit foundation – the People’s Portfolio – a photographic philanthropist. The resulting cover for Wired’s September 2014 issue is another in a seemingly endless flow of arresting images of the powerful, and more recently, the powerless. Platon’s work, for Rolling Stone, The New York Times Magazine, Vanity Fair, Esquire, GQ, The Sunday Times Magazine, Wired, Time and The New Yorker, has captured wisdom, pride, hubris, sadness, struggle, fame and infamy on the faces of those that have sat for him. He’s been awarded first prize in the World Press Photo Contest (in 2007 for his portrait of Putin) and become a member of the Global Leadership Council for the World Economic Forum. 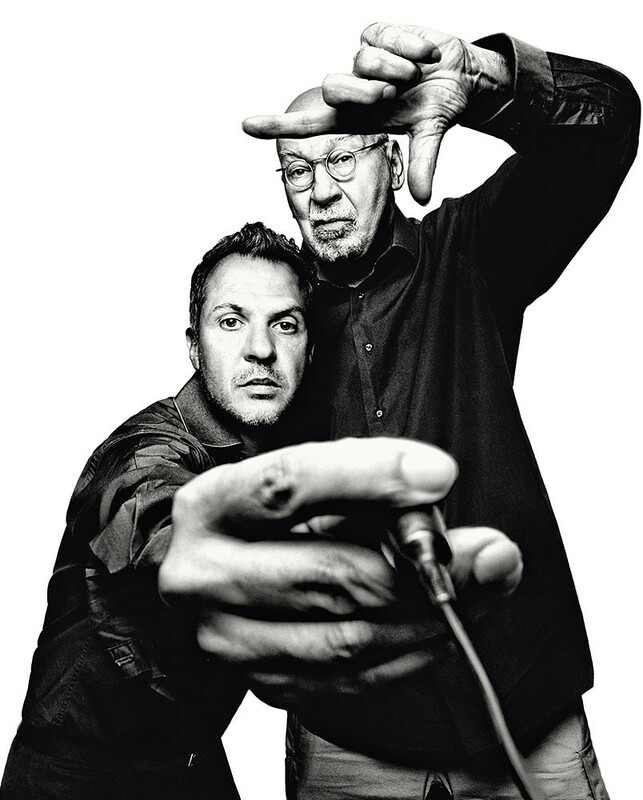 Top: Platon with George Lois, former art director of Esquire, 2012. Yet photography was not the profession Platon considered entering. His father, Jim Antoniou, an architect and town planner who worked frequently in the developing world, was also an accomplished illustrator. Among other things, he produced a series of covers for the books of Nikos Kazantzakis, commissioned by Alan Fletcher. Platon would later work with Fletcher during the development of his debut monograph Platon’s Republic in 2004. 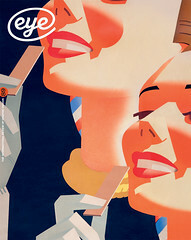 The book was published by Phaidon, for whom Fletcher was a consultant (see ‘Remembering a graphic artist’ in Eye 62). His graphic studies were far from wasted. They helped his early photographic work, especially on magazine assignments where his respect for designers led him to compensate for the physical requirements of a magazine layout during the shoot. ‘Most photographers thought, “It’s a beautiful photograph, don’t mess with it, it belongs on a gallery wall”. But it’s not on a gallery wall – it’s in a magazine.’ Platon would visualise the page or spread in camera, before an art director got involved. The ‘Little Rock Nine’, The New Yorker, 2010. In 1957 they made history by enrolling at Little Rock Central High School, previously an all-white institution. 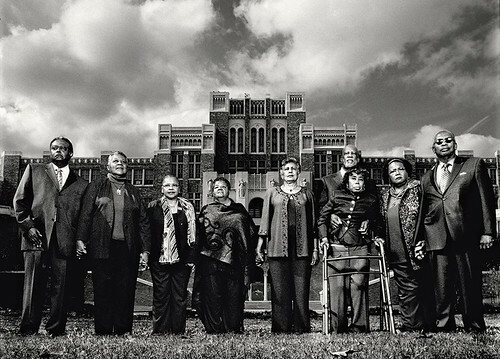 From left: Jefferson Thomas, Minnijean Brown-Trickey, Gloria Ray Karlmark, Elizabeth Eckford, Carlotta Walls LaNier, Terrence Roberts, Thelma Mothershed Wair, Melba Patillo Beals and Ernest Green. The idea of the foundation started with a conversation backstage at the World Economic Forum in 2011, where Platon was speaking about his portraits of world leaders and The New Yorker civil rights project. ‘A person of influence approached me after the talk and they said: “I sat and watched your presentation, and you’re a mess. You’re all over the place. You’ve got no discipline, and you’re completely ineffective. But there’s something about what you’re doing that I’ve never seen before, and I want to help you focus it, and channel it, and build it into something that is devastatingly effective.”’ And so the People’s Portfolio was born. Through its auspices, Platon is turning his lens on people who have been robbed of power, those who are standing in the face of oppression to demand their civil or human rights. 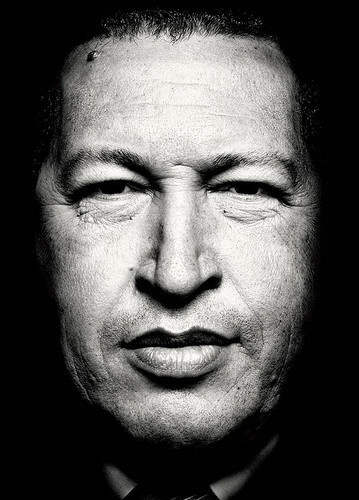 In Platon’s eyes, the People’s Portfolio is about establishing a new set of cultural heroes and throwing light on the powerless, the oppressed, the underdogs. He has photographed Burmese victims and exiles, Egyptian revolutionaries, and those fighting against oppression in Russia. He photographed Aung San Suu Kyi the day after her release.